Includes (1) pinata, (1) pinata buster, (1) pinata blindfold, (2) bags of pinata fillers with toys and candy. Super Why! 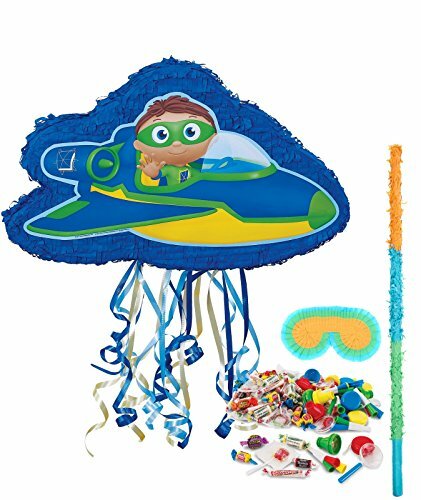 Pinata Kit includes: (1) Super Why! Pull-String Pinata, Candy and Toy Pinata Fillers, (1) Pinata Blindfold, and (1) Pinata Buster. This product is officially licensed 2010 Out of the Blue Enterprises LLC.